Happiness is a goal many people long to achieve. Why are some people happy and others seem miserable? 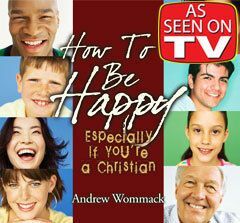 In this powerful teaching, you will learn the secrets of being happy. 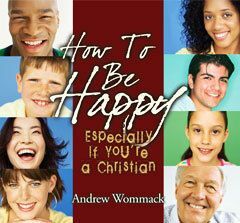 Andrew shares that it is God's will for us to be happy. We are instructed to rejoice in the Lord always. Learn how to be happy despite your circumstances. Paul's joy was independent of his circumstances. Discover his secret. The Lord is always with you; once you acknowledge this truth, your joy will abound. Week 2: Are You Satisfied with Jesus? Week 5: What about Ambition? Week 6: Do You Recognize Jesus?